After downloading the Ableton Sampler pack you will also want to download the Dimension Expander for free from Xfer Records. I added the Dimension Expander into the Ableton Sampler Instrument Rack. The Dimension Expander was created to emulate the effect with the same name in Native Instruments Massive. 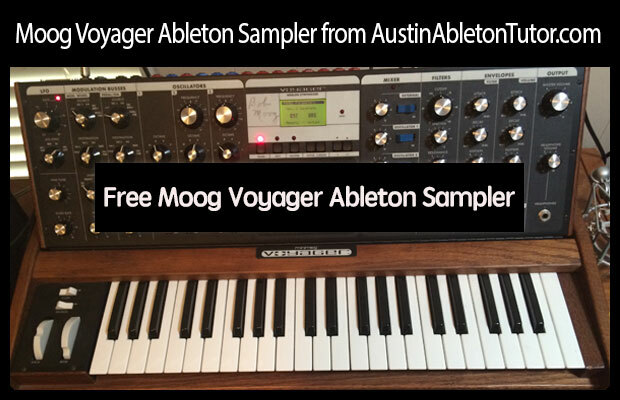 This free Moog Voyager Ableton Sampler is designed to give you the raw Voyager oscillators. 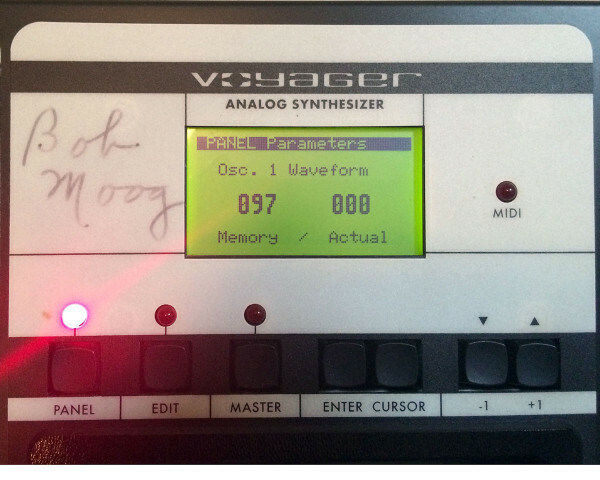 The Voyager has 3 oscillators and each of the the oscillators have been sampled individually. There is a separate sample for each octave and primary wave positions of all 3 oscillators. The noise generator has also been included in this Ableton Sampler and can be mixed in with the 3 Moog oscillators just like on the real Voyager. 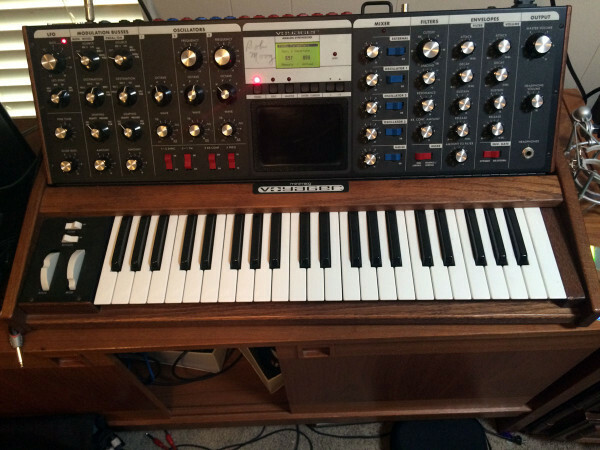 Every Moog has its own character and this Voyager is owned by Austin, Texas DJ/Producer Brent Stallings. Brent performs under the name Bonus Junk and does a lot of local festivals as well as open for some awesome acts like Nightmares on Wax. Brent let me come over and sample this beast so that I could make the Ableton Sampler Rack and share it with the world. The character of the Moog Voyager Ableton Sampler will not disappoint and will be a great enhancement to your collection. The Ableton Simpler Rack has been designed in a similar fashion to the mixer on the Moog Voyager. The top level Macros give you the ability to select the wave form and octave of each oscillator. You can then mix each oscillator with the mixing controllers on the chains. Each of the 3 Moog Voyager oscillators as well as the Noise generator have independent ADSR Controls. We would love to hear what you create so feel free to post your music on the Austin Ableton Tutor Sound Cloud Group.